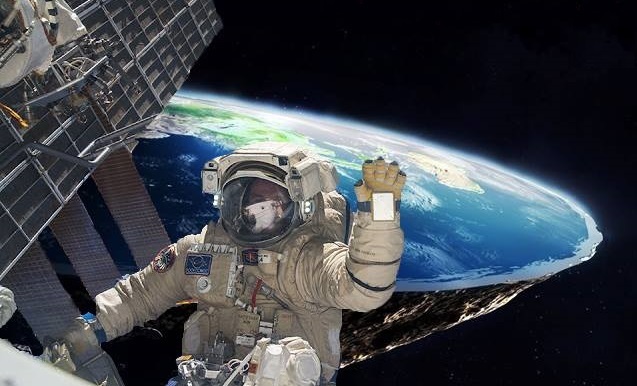 "The picture NASA doesn't want you to see"
I started a "stop Flat earth" facebook group a few months back and have been bombarded with trolls and even death threats lol. Facebook has gone to crap since I signed up in 12 years ago but for some reason I cant stand to let this cult grow. https://www.facebook.com/groups/174060043080069/ if you want to see them make a fool of themselves.. Anyway, I've found that some of the objections in the 'flat earth' videos are quite real (not that I'm a 'flat-earther', of course). For example, the one I'm bringing points to a quite evident flaw in that amazing HD time-lapse shoot in 4K from "the Thing". Namely, the long lasting lightnings and still street lights. If it was true, lightnings should last for minutes in real time! I am by no means a flat-earther either lol. But I don't believe we have or can send anything into space (satellites and such) with current technology (rocketry). So I don't believe any of NASA's "Earth from space" footage or "Live streams" are real but merely CGI renditions made with budget of millions. and the above video was just made by a small team of animators using consumer level PCs and equipment. Imagine what NASA could accomplish with their supercomputers, vastly more powerful custom simulation programs, and a near limitless amount of money. Statements like this help help obscure the difference between truth and fiction. Of course some tidbits of info by disinformation specialists will have some merit. Of course your evening news has bits of truth in it such as local news reporting about a house fire, immediate weather or stories about holidays. So what. This is part of the deceptive practices of liars to gain legitimacy and to gain your trust. These flat earth videos have no merit at all, imho, because they sneak nlp into images and words and add hypnotic sounds to confuse the viewer so should be watched with the utmost caution. "The whole issue of Chazal’s knowledge and the knowledge of Jewish sages through the ages about the build of the planet Earth can be best summarized with a quotation from the Encyclopedia Hebraica, entry Geografiyah, p. 69: “The leading opinion amongst Jewish sages until the second half of the 10th century was of a round and flat Earth [like a coin] surrounded by ocean waters and floating in the abyss like a boat on the sea (Midrash Pikrei D’Rabbi Eliezer, ch. 5 [from the 8th-9th centuries] and Midrash Konen [from the 10th century]). Knowledge of the Earth’s spherical shape reached Jewish sages in Islamic countries through Arabic astronomy (...) According to the Shvut Ya’akov we find that Rav Judah, who lived in the third century CE (that is, 900 years after Pythagoras!) still thought the Earth to be flat." Having viewed dozens and dozens of flat earth videos I noticed they all had the same thing in common: strawman arguments that could easily be disproven. One video was titled something like “100 Reasons Why The Earth Is Flat”. Who has time to debunk that or the thousands of other flat earth videos? Instead of spending time on the numerous why-something-is-not-true posts, I thought it would be more enduring to consider the why-something-is-true post. You can prove to yourself the earth is a sphere by considering the outcomes of a few globe earth experiments. There are all sorts of people out there who need all sorts of explanations. Here is one simple demonstration of how to tell the shape of our earth by comparing a sphere to a plane by sighting the moon. Say two people were looking at the same moon at the same time. One person is in California and the other person is in New York as in the model below. If the sphere were flattened out while the North Pole remained facing the North Star, then the 2 people would all be looking in different directions at same moon at the same time, as if there were 2 different moons. Since we know there is only one moon, we must conclude we live on a sphere and not a plane. Now try I yourself with the template below. This post is an edited version that appeared in the chat box on February 11, 2018. Since water finds its level, bodies of water such as lakes and canals are a good way to show the spherical nature of our earth as these types of bodies of water do not have uneven terrain at the surface level. 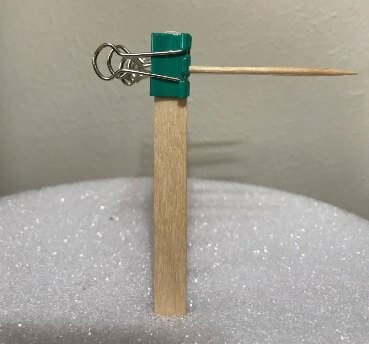 This post is about an experiment that you can try yourself with a telescope, wood posts, nails and maybe a boat and about how water, frozen or liquid forms a bulge. This bulge is most observable when it’s directly in front of you, not when it’s at the horizon, meaning side to side. This bulge is also most observable when we view it in terms of miles. I borrowed the experiment from the book Elements of Physical or Natural Philosophy, 1827, by Dr. Neil Arnott. The chapter I found the experiment in is titled The Earth a Globe or Ball, page 774. I recommend also reading the Prefatory Notice starting on page iii. It’s a short biography of Dr. Neil Arnott’s life, 15th May 1788 to 2nd March 1874 and it goes over his accomplishments. What I like about him is that he carries his scientific theories into practices that are repeatable. 1)	Find a straight canal or frozen lake surface about 4 miles long. 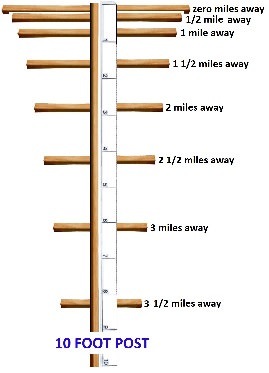 2)	Place posts every ½ mile in a straight line with a cross bar at the top in the shape of a T. The T-shaped posts should raise 10 feet above the surface of the water. 3)	Stand on a boat or ice in front of the first post such that all the other posts are hidden behind it. In this way you will be assured that all the posts are lined up in a straight line. 4)	Using a telescope, sight the differences in height of the cross bars on each post as the posts get farther away from you. Remember, you will not be able to see any vertical post except the first, as the others are hiding behind it, but you will be able to see the cross bars on the posts. 5)	What you will find is that on the second post being ½ mile away from the first, the cross bar will have sunk down from the first by 2 inches. On the third post being 1 mile away the cross bar will have sunk down from the first by 8 inches, and the fourth post being 1 ½ miles away will have sunk down from the first by 18 inches, etc. 6)	This demonstrates the formula for the curvature of the earth: curvature = (8 inches) x (distance in miles away) squared (c=8d^2 if you will). The graphic below is an example of cross bar spacing of what one will see with a telescope standing in front of the first post where the posts would be half a mile apart. If you would like to observe more drop you will need a longer post. The table above is in inches and the graphic below is in feet. One can demonstrate the principle of earth’s curvature on any circular surface. On the following disk of circular foam, 9x1 inches, the edge represents a straight canal or frozen lake surface on earth. The popsicle sticks are 1 inch apart and represent the posts and the tooth picks represent the cross bars. The tooth picks follow the same pattern in drop as the curvature of a sphere falling away from you: 2”, 8”, 18”, 32”, 50”, 72”, 98” and 128”in drop. 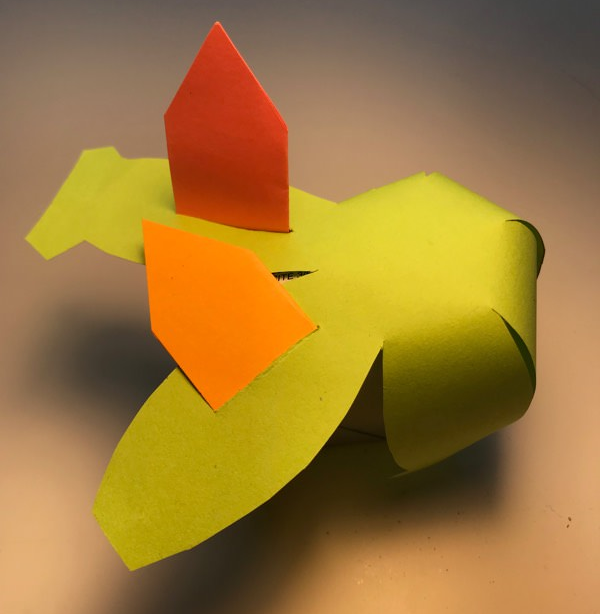 Although not perfectly calibrated, the popsicle sticks and toothpicks sufficiently demonstrate the principle that distance between cross bars of the T get further and further apart as one moves away on a circular surface due to curvature. What if we lived on a flat surface? How would the spacing between the toothpicks or T bars be different? If the earth is a flat surface and the distances of the T posts are still 1/2 mile apart, the drop in the cross bars would appear to be getting closer together. All you would be able to observe is the vanishing point. One must have the posts at least 1/2 mile or so apart in order to observe the 8 inches X miles^2 drop. If the posts are too close together the drop is not observable. 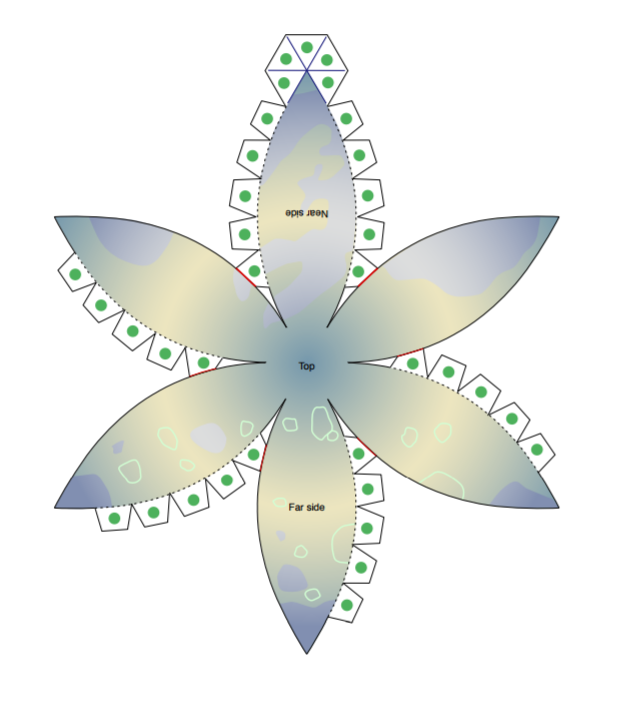 One can demonstrate what if would look like if the earth’s surface were a flat surface using the flat side of the foam disk. The popsicle sticks are still 1 inch apart at their base. Notice how the cross bars are getting slightly closer together the farther away you observe them. In addition, on a flat surface one can line up the posts and the T bars to all stand behind each other as in the image below. You can see that there are several toothpicks all lined up as observed by the shadows. This is impossible to do on a curved surface with posts about ½ a mile apart as specified above because the earths curve brings the cross bars out of alignment. 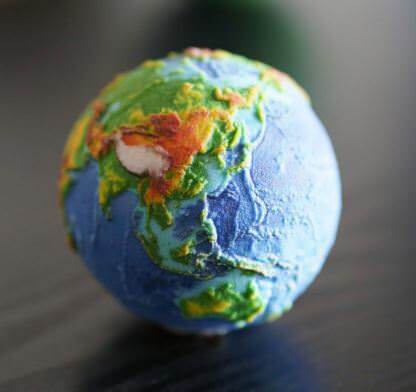 How do we know we live on a spherical shaped earth? When one can’t line up the T-Posts so that both the posts and cross bars line up and all hide behind the first T post when placed about ½ mile apart. When measurements are taken in terms of miles, only then do we begin to see the curve of the earth. Ships captains demonstrate this curvature every day as ships sail away from each other when spied through a telescope as ships and their masts sink beyond the bulge or curve of the earth without diminishing much in size at the very predictable rate of 8 inches times distance in miles squared. This calculation is really only accurate to about 100 miles. The Taylor Expansion series is a better formula to use for overall accuracy past 100 miles. 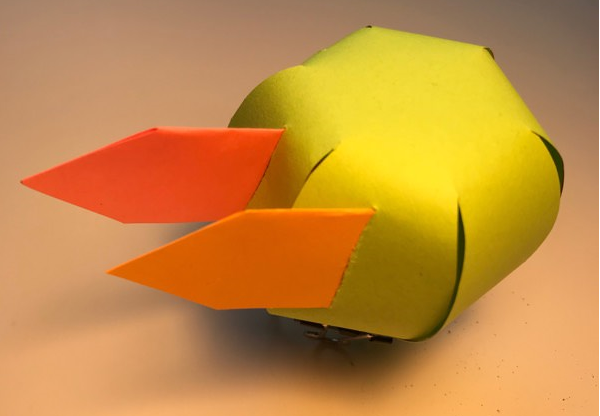 Given the non-linear nature of light, a better way to experimentally verify the curvature of the Earth would be something that did not make incorrect assumptions about the path that light travels between two points. Fortunately, such an experiment was devised and carried out over a century ago. I speak, of course, of the Tamarack mine shaft plumb bob experiment, which found that plumb lines, when hung in a very deep mineshaft, rather than converging at the bottom (as would be expected on a convex ball Earth) or hanging parallel (as would be expected on a flat Earth), actually diverged! Despite the apparent mystery, the experiment has not been publicly reconducted since it was originally undertaken over a century ago. I would think that with the recent popularity of the Flat Earth cosmology there would be an effort made to reconduct it using modern equipment and techniques, but apparently not. It's certainly not something that the "average joe" could pull off but it's also not completely outside the realm of possibility with enough resources and the cooperation of the owners of a mine like Tamarack. Atmospheric refraction is the deviation of light or other electromagnetic wave from a straight line as it passes through the atmosphere due to the variation in air density as a function of height. This refraction is due to the velocity of light through air, decreasing (the refractive index increases) with increased density. Atmospheric refraction near the ground produces mirages. Such refraction can also raise or lower, or stretch or shorten, the images of distant objects without involving mirages. Given the non-liner nature of light, the experiment proposed above cannot possibly be used to conclusively determine the curvature of the Earth. What we need is a Tamarack 2.0. I believe we have a globe Earth.. but it is true that we better have a good understanding of light before we use it to prove things. Eg.. in one of the threads talking about stars. I have to admit that if this forum has "taught" me only one thing it is to keep an open mind regarding anything. As such, I was open to the claims made on video posts of people espousing "flat earth" etc. Ironically, whilst watching one which touched on the subject of the "upside down moon" in the Southern Hemisphere, something which I had not even contemplated [much to my naivety/embarrassment], I was slightly taken aback [and amused] when the Narrator explained that this is because the Moon "wheels" around the "flat" Earth such that it presents the "right side up" face in the Northern Hemisphere and the "upside down" one in the Southern. If one wanted to have a simple "look and see for yourself outside" view of the World, yes, it seems that the Heavens move and we don't but then to try and cater for one part with a somewhat [I want to say preposterous] seemingly over complicated explanation for something that should, under their "rules", almost be self-evident, for me, debunks their own arguments and position. That said, this means that images of Planets from Observatories/Astronomers and the like should show, from their vantage, the orientation of the Planet in relation to the Earth, presumably this is already done with the Moon so why not with the Planets containing "observable" features such as Jupiter & Saturn? I'm not saying this proves anything of any kind but it would bring into question if the images they do show of these Planets have been "re-orientated" with north-up and south-down for some reason.